In my previous posts I have shown how to setup Jenkins to work with SVN and trac running on the Raspberry PI. I have also shown how to configure eclipse to work with google test and how to configure eclipse to work with SVN and trac. This post covers how to automate the build of the eclipse projects under Jenkins and how automate running the unit tests. 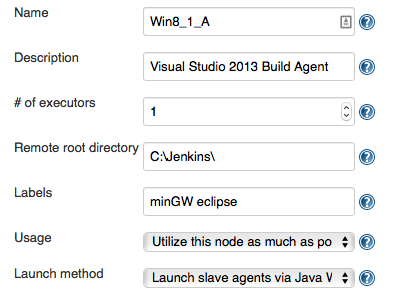 First of all install all of the tools that you need for your build on a Jenkins slave, in my case eclipse CDT with a selection of plugins, and Mingw. Eclipse is not on the path by default, so I created a system environment variable ECLIPSE_DIR on the slave, with the path to where eclipse is installed. I also restarted the Jenkins slave service so that it had access to the new environment variable. 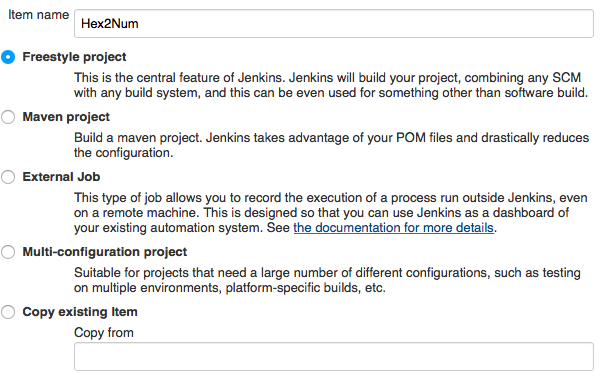 Add the job to Jenkins, from the Jenkins home page select New Item, name the job and select Freestyle project, click OK. My example project is called Hex2Num, a simple utility I’ve written, it consists of two eclipse projects (a unit test project and the application), the unit tests are written using googletest, documentation is handled with doxygen, gcov is used for code coverage. If you are using trac and have integrated trac and Jenkins (see Integrating Trac and Jenkins) then fill in the URL to access trac. 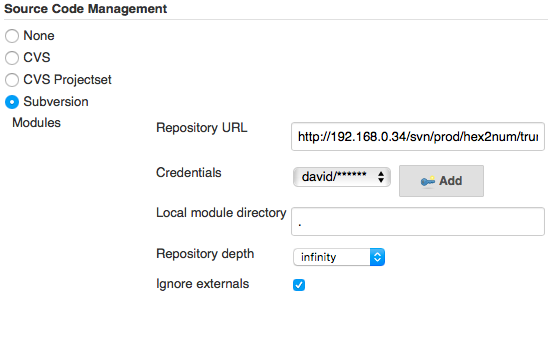 The source is stored in a single module in subversion, fill in the URL and any required credentials. Click Add build step->Execute windows batch command, this command builds all of the projects in the workspace as DEBUG. Go back and add another build step, Click Add build step->Execute windows batch command, this command executes the unit test application and generates an xml results file that can be interpreted as Unit results. Add another post-build action, Click Add Post-Build action->Publish Unit test result report and enter the name of the result file. 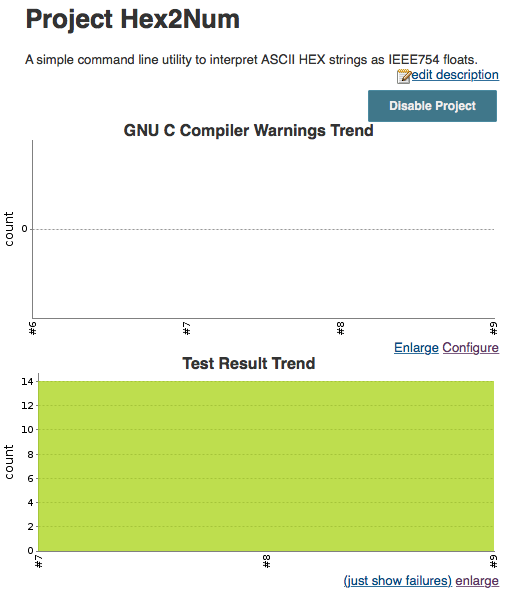 After a few builds have been run two graphs will appear on the Jenkins page for the job. Posted in Software Development and tagged eclipse, google test, jenkins, mingw.